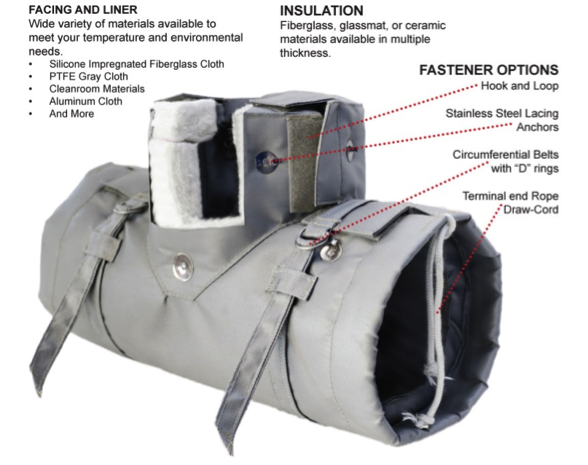 BriskHeat® Cloth Jackets insulators maximize coverage and efficiency by providing insulation around the entire object. We will custom design to your product specifications to ensure the proper fit and maximum efficiency! Form-fitted Reusable Cloth Insulators are fabricated to the shape of the targeted equipment. Rugged Reusable Cloth Insulators are designed to meet your specific thermal requirements.